Robb Wall, R(B) has been living full time and enjoying life as a Kauai homeowner since 1988. Having spent the better part of two decades in Silicon Valley as Global Sales Development Manager at Sun Micro Systems, Robb is grateful for the slow pace Kauai offers. 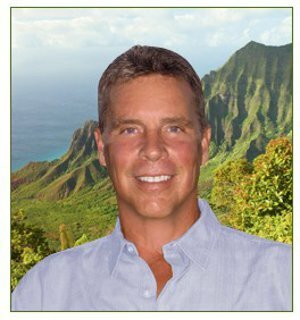 Robb know's Kauai Real Estate better than most having first entered the market trained as an appraiser. This local knowledge combined with his technical expertise and strong commitment to quality service make Robb a valuable asset to both Buyer's and Seller's. Robb Wall sold my Sun Village Unit and handled everything for me. Robb has a group of reliable professionals on his Team and they moved furniture for me, painted the unit, and even cleaned the condominium from top to bottom before the close of escrow. I highly recommend you hire Robb Wall, he is a Broker you can Trust to get the job done!